General rules and regulations are established to insure public safety and maintain a safe and orderly environment for Gwinnett Center's employees, users and related service providers. The A-Z Guide should serve as a guideline for all concerned. Any requests for variations or exceptions should be submitted to the event management personnel of The Center by e-mail. *Please note that all guidelines are subject to change based on specific tour requirements. Gwinnett Center is an ADA Compliant facility. To order accessible seating tickets, please contact Ticketmaster at (404) 249-6400 for Ticketmaster events, contact AXS at 888-929-7849 for AXS or visit The Arena Box Office. At the Gwinnett Center, we hold seats in various areas of our facility for patrons who require wheelchair access, as well as those with visual and hearing impairments and for those who have limited mobility, but do not require the use of a wheelchair. Gwinnett Center offers a number of exclusive partnerships that are uniquely crafted to meet the goals, budgets and expectations of your company. Become a Community Hero. CLICK HERE for more information. Georgia state law prohibits the sale of alcoholic beverages to persons under the age of 21. Therefore, guests will be required to show valid identification when buying alcoholic beverages. All guests who are identified as being under the age of 21 and in possession of alcohol will be turned over to Gwinnett Police Department. Please remember that it is illegal to drive under the influence of an intoxicant or to consume alcoholic beverages while driving. See the TEAM Georgia's Designated Driver Booth for additional information. Animals are not permitted in The Center except as an aid to people with disabilities or in conjunction with an authorized exhibit, display or performance. Depending on the nature of an event, or when considered necessary by Building Management and/or Lessee, a Pre-Event Screening may occur. A visual or full search will be conducted by Arena Security. All guests and/or show personnel may be subject to search prior to entering the building. Guests who are not willing to comply with procedures prior to entering the facilities may return their tickets immediately to the Box Office for a refund. Guests entering the facility must be properly attired including shoes and shirt. These items must be worn at all times. Guests will find 2 ATMs located in the Arena, across from Sections 121/122 and by the esclator. One ATM is located on the first floor of the Convention Center near Meeting Room 6C. Baby changing stations are located in all public restrooms. In addition, family restrooms are available on the main level of The Arena. Decorations, signs or banners may not be fastened to ceilings, painted surfaces, columns or decorative walls. For concerts and performances, oversized signs (larger than 2’ x 3’) are prohibited. Please check the specific event information for more details on restrictions. Tickets can be purchased for all Gwinnett Center events at the Arena Box Office located in front of The Arena. Gwinnett Center accepts the following methods of payment: Cash, American Express, Mastercard and Visa. When purchasing tickets with a credit card, you must show a valid photo identification to complete the transaction. There are no refunds or exchanges. By Phone at: TicketMaster Charge-by-Phone toll free at 800-745-3000. Accepted Methods of Payment: American Express, Discover, Mastercard, Visa, and Cash. For most events, children under 24 months do not require a ticket to enter. However, in order for a child to have his/her own seat, a ticket is required. For some family events this may vary. Please check the specific event information. Guests wishing to make a comment or suggestion about the Gwinnett Center, an employee or an event are encouraged to stop by the Guest Services Desk and complete a Guest Comment Card. Alternatively, you may send an e-mail to us. Traveling North on I-85 take the Sugarloaf Parkway Exit. Turn right off the exit, go back under the Interstate and cross over Satellite Boulevard. The Center will be on your left. Traveling South on I-85 take the Sugarloaf Parkway Exit. Turn right off the exit and you cross over Satellite Boulevard. The Center will be on your left. Doors to events at The Arena at Gwinnett Center and Performing Arts Center open 1 hour prior to the start of the event. This time may vary due to the request of each particular show. As a general rule, most shows adhere to the 1-hour rule. 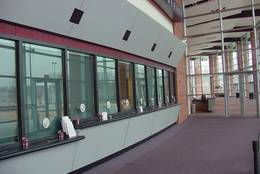 If duplicate tickets (two or more guests holding tickets to the same seat for the same event) are presented, immediately contact an Event Staff member to proceed to the Arena Box Office for assistance. There are four (4) passenger elevators to serve guests. Two (2) elevators are located to the right after entering through the Main Entrance behind the escalator and two (2) are located at the Club and Suite Entrance East. All elevators my not be in use for all events. Please check with the nearest Event Staff member if you have any questions. There is one (1) passenger elevator to serve guests located behind the Guest Services Desk by the Restrooms and vending machines. Please check with the nearest Event Staff member if you have any questions. There is one (1) passenger elevator to serve guests located to the right of the Box Office. Please check with the nearest Event Staff member if you have any questions. There is one (1) escalator located to the right after entering through the Main Entrance. Please check with the nearest Event Staff member if you have questions. There is a set of escalators located directly behind the Concierge Desk after entering through the Main Entrance. Please check with the nearest Event Staff member if you have questions. When a concert or event has been cancelled, return the tickets to the place of purchase for a full refund. Contact The Arena at Gwinnett Center Box Office at (770) 813-7600 or Email with any questions. Information for vendors exhibiting at Gwinnett Center events, including ordering show services, can be found at www.rentgwinnettcenter.com. First Aid personnel can be found at the North End of The Arena near the Main Entrance. If you are in need of medical attention, please contact the nearest Event Staff member to contact First Aid. First Aid personnel can be found on the first floor next to the Men's Restroom. If you are in need of medical attention, please contact the nearest Event Staff member to contact First Aid. First Aid personnel can be found to the right of the Box Office. If you are in need of medical attention, please contact the nearest Event Staff member to contact First Aid. The Arena at Gwinnett Center provides a great way for non-profit organizations to raise money for their community efforts. For details on how to plan a fun outing for your organization and raise money at the same time, contact Group Sales. To find out more information about concession fundraising opportunities contact Proof Concessions. Groups are club members, co-workers, churches, scouts, families or anyone else. Coming to Gwinnett Center as a group provides great company along with great entertainment. For select events, groups can take advantage of discounts, special pre-sales or other special offers. Click here for more information on group sales. The throwing of any objects or projectiles in seating areas, on stage or any other areas. Guests who fail to abide by Gwinnett Center’s policies and state and federal law are subject to ejection from the facility. Any guest violating policy will be asked to correct their behavior and, if they fail to do so in a timely fashion, they will be ejected. Individuals who have been ejected must vacate the property or be subject to arrest on trespassing charges. The Guests Services Desk is located immediately in front of the doors of the Main Entrance. The personnel manning the desk are available to answer any questions about the facility, upcoming events and available services. 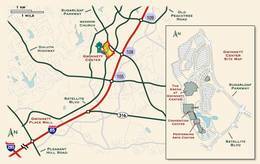 There are several hotels conveniently located around the Gwinnett Center. For more information, visit www.gcvb.org. To review the Gwinnett Center policy on Distribution of Literature, click here. All items found at Gwinnett Center are turned into our Security Department. Items are held for 30 days and if left unclaimed, they will be disposed of. If you have lost an item, please contact our Security Department at 770-813-7540. Lost children will be taken to the Guest Services Desk. Guests looking for their lost child should report directly to the Guest Services Desk or an Event Staff member for assistance. On event days, all media should check-in and enter The Arena through the event staff entrance located at the Club and Suite Entrance West. For more information on media passes contact us. Outside food or beverages are prohibited in Gwinnett Center, with the exception of baby food. A variety of food and beverage options are located at the concessions stands and carts throughout the facility. Gwinnett Center does not have pay phones. A Courtesy phone is located at the Guest Services Desk in the front lobby. Any other item deemed unacceptable by Gwinnett Center Management. Gwinnett Center management reserves the right to make the final determination on prohibited items. Gwinnett Center is NOT responsible for items left behind, lost, stolen or damaged. Possession of prohibited items will be grounds for ejection from Gwinnett Center. Guests may not re-sell tickets at any price on Gwinnett Center property. To avoid problems with counterfeit, stolen, void or other invalid tickets, tickets should only be purchased from an authorized Gwinnett Center or from the Arena Box Office. Gwinnett Center is a non-smoking facility. Smoking is not allowed in public areas of the facility by any guest or employee. This applies to dressing rooms, production office(s) and backstage areas. There are, however, marked designated smoking areas. Anyone observed smoking inside the facility will be asked to extinguish the item immediately. Any person who refuses to comply with the policy, after an appropriate warning, shall be subject to be removed from the facility. Please check with the nearest Event Staff member if you can not locate one of the designated smoking areas. Strollers are prohibited at all events at The Arena at Gwinnett Center and the Performing Arts Center. Any stroller brought into the venue will have to be checked-in and checked-out from the Guest Services Desk, located to the left at the main entrance. The Arena at Gwinnett Center has two outdoor Ticketmaster kiosks located outside the Arena Box Office. These self-serve kiosks are operational 24 hours a day for Gwinnett Center ticket sales. There is a $1.00 per ticket processing fee. Will Call pick-up is available 2 hours prior to start of the show at no additional fee. Please be advised that you will have to use a credit card for ticketing transactions. A limited number of wheelchairs are available for guests in need of assistance at the Guest Services Desk. These wheelchairs are available on a first-come, first-serve basis and cannot be reserved in advance. Please bring a valid picture I.D., the actual credit card used to purchase the tickets and your confirmation number.